Thousands of South Carolinians Have Experienced Debt Relief. No More Sleepless Nights, Creditor Harassment, or Lawsuits. Would You Like the Peace of Mind of a Financial Fresh Start? Every day good people trapped in debt discover that bankruptcy provides relief from harassing phone calls, collection letters, lawsuits, foreclosure, and judgments. They’ve made the decision to seek relief so that they can put their health, their marriages, and their families first. Being a slave to debt that you’ll never repay doesn’t do anyone any good. Let’s face it, bankruptcy laws don’t make it so you have financial problems. They exist to deal with the problems created by job loss, medical problem, or divorce—just to name a few. Who Am I? How Can I Help You? 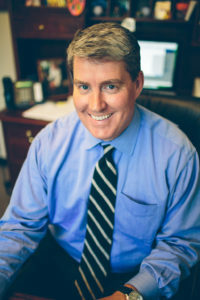 My name is Russ DeMott, and I’m a Charleston area bankruptcy lawyer. For over twenty years, I’ve helped people deal with financial problems by making wise decisions. I’ve represented large families and singles. Those with assets, and those with very little. Some were well-educated, and some were not. But they had one thing in common: a need for financial help. My goal is to find the right solution to your financial problem. Maybe that involves bankruptcy, and maybe it doesn’t. I don’t sell bankruptcy. Instead, I find solutions. If you hire me, you’ll get an experienced lawyer and a caring staff who will do everything they can to find the right solution to your problems. Let Me Send You My FREE Bankruptcy Guide! My bankruptcy guide explains the bankruptcy process from start to finish. It begins with your initial meeting with me, and it takes you through your bankruptcy hearing. It explains what you must do and why I’ll ask you to do it. To get my guide, just fill in the form to the right. I’ll only contact you if you want to be contacted. To schedule your initial consultation, call (843) 380-4195. I look forward to helping you!